With the economic outlook for South Africa at around 1% growth for 2017, we need to ask ourselves “when will we grow at rates that we can be proud of and that will meet the requirements of poverty alleviation in our country?”. In order to achieve the 5% growth needed, systemic and strategic changes need to take effect and in aid of the National Development Plan and Industrial Policy Action Plan, the Department of Trade and Industry (dti) have been actively promoting the establishment of Black Industrialists. The Department has already awarded 46 of the 100 “slots” earmarked for grant funding and, whilst the intention was to stagger approvals over a 3 year period, it’s expected that all 100 positions will be filled by end March 2018, if not sooner. The dti allocates up to R50 mil in grant incentives to eligible, majority black owned and managed, value adding businesses. This incentive is triggered by the businesses ability to raise matched funding, typically a combination of debt and equity, enforcing that applicants be well structured and bankable in order to attract the matched funding component. This incentive is a key driver to growth, it forces large scale investments with a minimum project size of R30 mil required and we have found clients who have opted to ramp up growth given access to the incentive. Given the success of this incentive, we are hoping that the Minister Rob Davies will provide some information on whether this business funding option will be extended for another round of industrialists. Many prospective applicants will miss out if they don’t apply urgently and it would be a pity for the SA business funding landscape if another round is not approved. We eagerly await to hear what the future of this incentive will be. 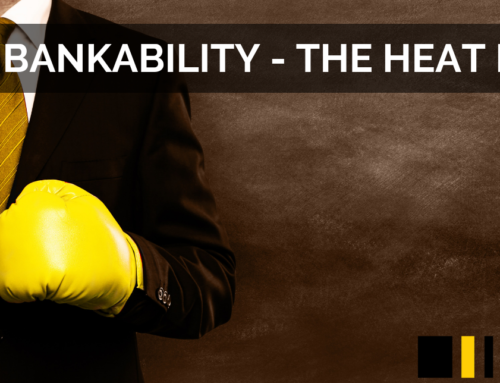 Bankability – The Heat Is On!